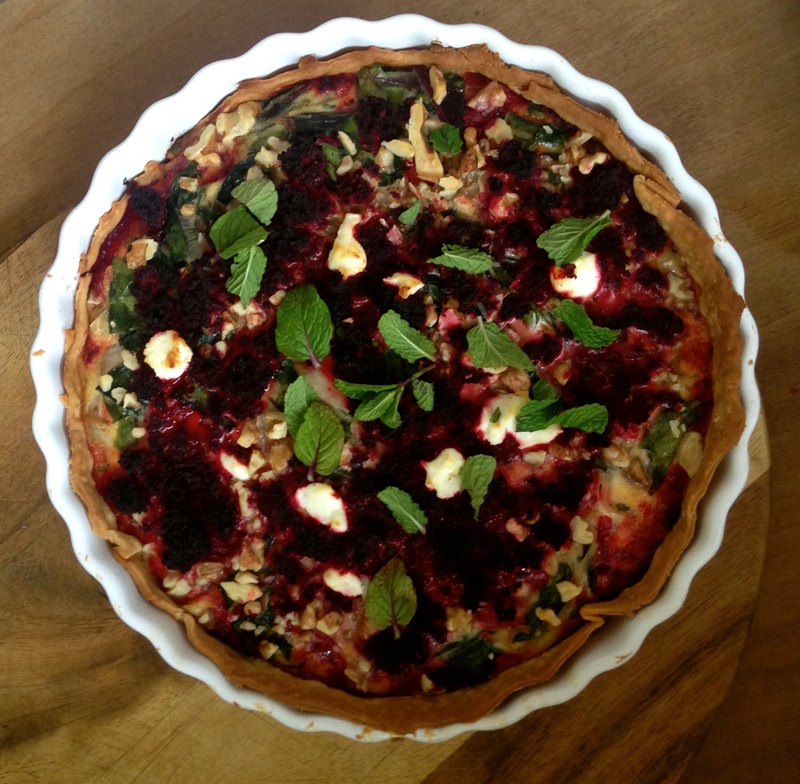 I have a delicious beet recipe for you today. 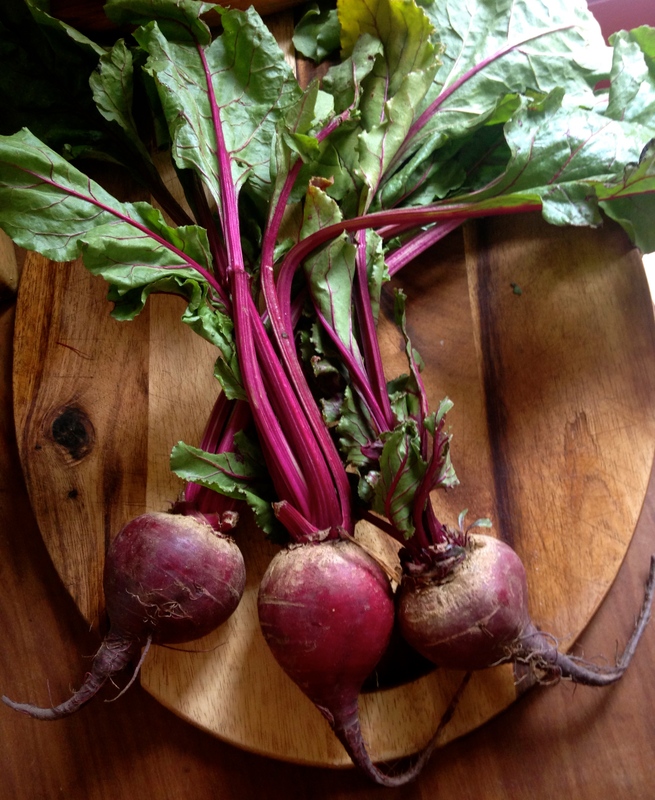 When I first started cooking beets I thought you had to peel, slice, then boil them in a covered pot until tender. Very time consuming and not exactly easy, especially peeling them. Then I learned the “real” method for cooking beets. Poke a few times with a fork, wrap in foil and roast. When using this method, the flavor is held in the beet and not dissolved in the boiling water. The skins peel easily after roasting. It is wonderful how the whole plant, root and all is edible. We enjoy adding the greens to a salad, or steam/sauté them as you would a bunch of chard. 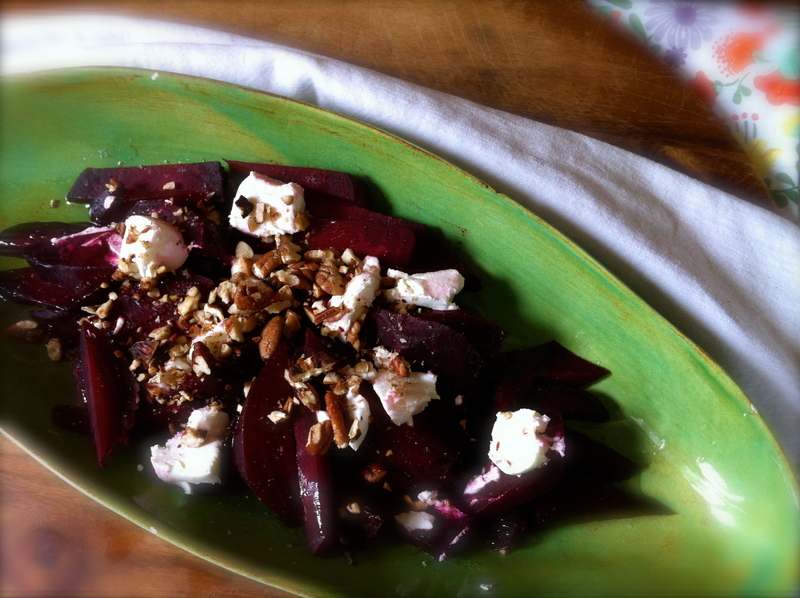 I have had guests around my table who never liked beets until trying them roasted. For a simple way to eat beets you may bake, peel, slice, then drizzle olive oil over them and a little sprinkling of sea salt. This is wonderful in a salad or served as a warm side dish. 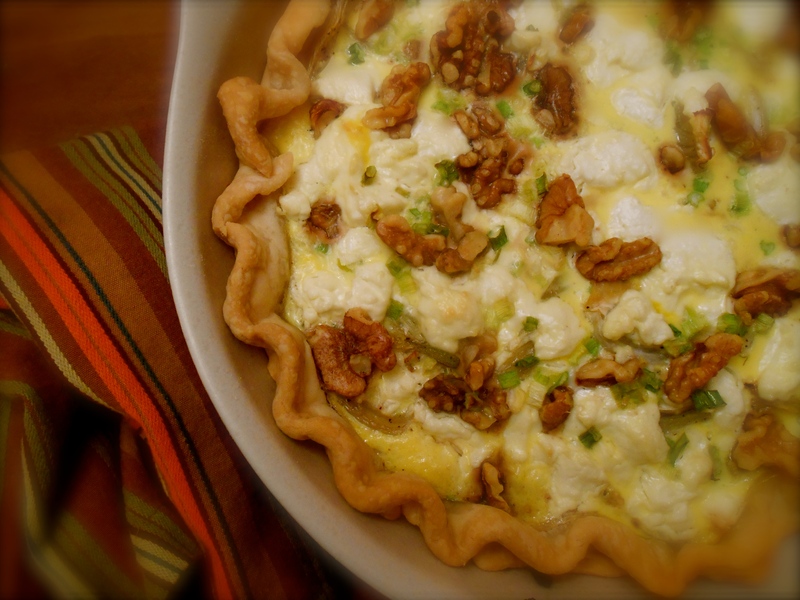 Or, consider adding a little goat cheese and nuts. Very delicious. Preheat oven to 450°. Using a fork, poke several holes in each beet and wrap with foil. Place in oven on a baking tray. Set timer and bake for 1 hour. Meanwhile, toast your nuts of choice by placing in a non-stick skillet on medium high heat. Occasionally move the nuts around by shaking the skillet and/or using a spatula until toasted, approximately 10 minutes. When beets are ready, use a fork to test their tenderness, Make sure the fork pierces the beet easily. Unwrap them and allow them to cool just enough to handle. 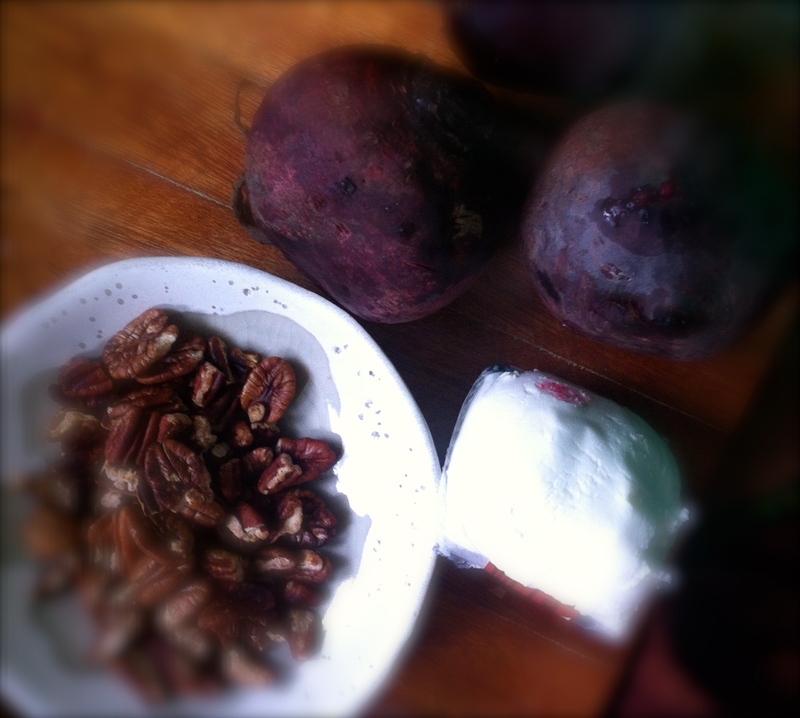 Using a paring knife, peel each beet. Slice them in your desired shape and place in a bowl. Drizzle with olive oil, sprinkle a little salt, top with chavrie and toasted nuts. You are currently browsing entries tagged with goat cheese at COTTAGE GROVE HOUSE.